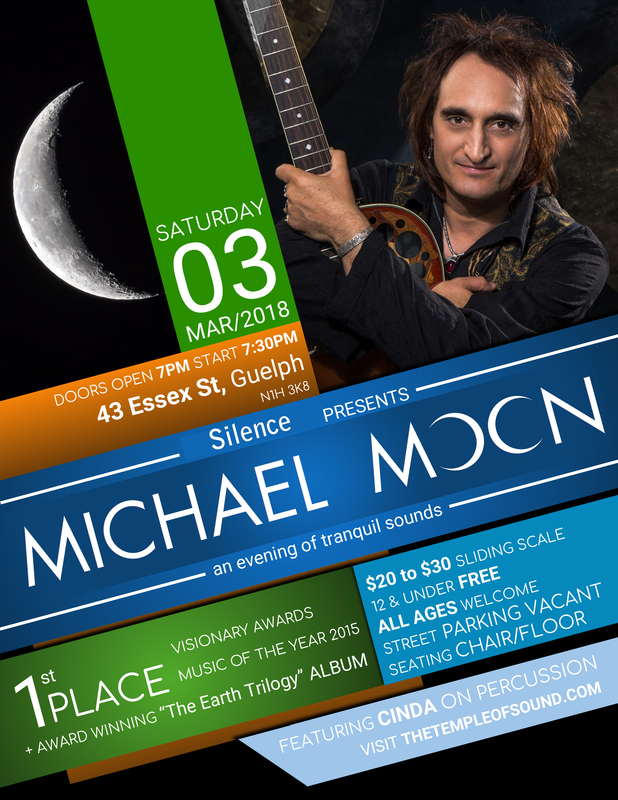 Michael Moon will take you on a magical journey through wild enchanting forests, cascading mountaintops and into the deep peaceful waters of his latest Award Winning CDs “The Earth Trilogy”. The ‘Earth Trilogy’ CDs have received numerous awards including 4 COVR (International Trade Organisation for the New Age Community) Visionary Awards. 1st place for Healing Music, 1st Place for Visionary music, and 1st Place for overall Music of the Year – 2015. Michael’s creative and artistic talents weave a beautiful tapestry of mystery and love through his favourite artistic expression, music, alongside photography, astrology, and the esoteric healing arts. Michael has studied with many Shamans, healers and musicians from around the world, passionately imbibing all the mystical and healing dimensions of sound he could find, many in the end, coming directly from nature and his own inner voice. Allow your self to bathe and relax in the gentle winds, calm waters, refreshing forests. Soaring high with the birds, and dancing to the ecstatic grooves …through the healing soundscapes and songs of Michael Moon.